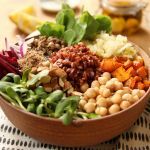 The Ultimate Vegan Veggie Bowl! Looking for a new, and refreshing meal to whip up for lunch or dinner? 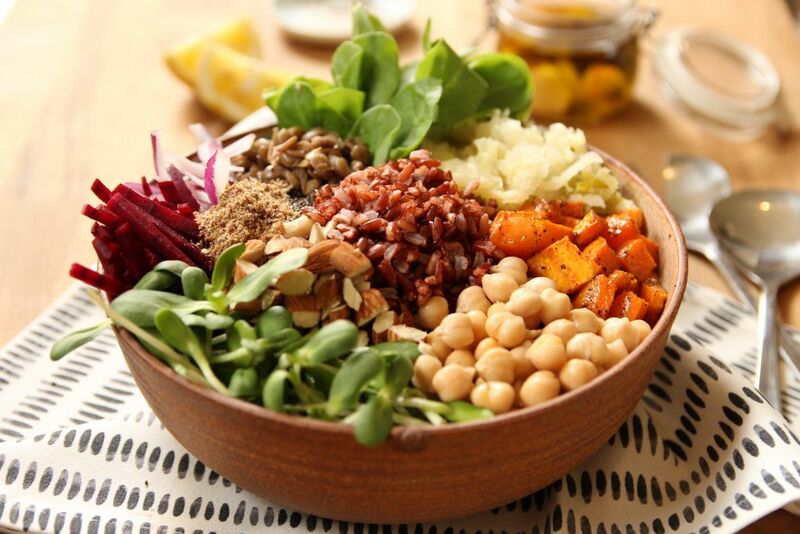 I’ve got you covered with this super-duper whoppa veggie bowl! That’s right! It has everything you need for a healthy, nourishing meal! 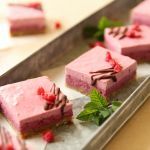 It’s packed with protein, fiber, color, flavor, and so much more! 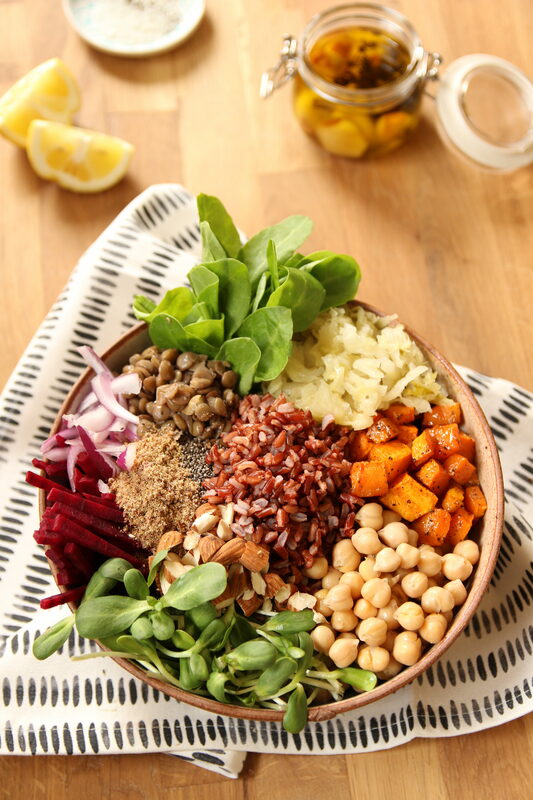 This vegan veggie bowl is bursting with probiotics, from my easy homemade sauerkraut, has greens, grains, crunchy beets, and is super filling! Preheat the oven to 392 degrees F (200 C). Wash, peel, and dice a cup worth of pumpkin, then transfer onto a baking tray, lined with baking paper. Add a drizzle of infused olive oil, a splash of maple syrup, sea salt and black pepper to taste, mix, and pop it into the oven until nice and soft, around 15 – 20 minutes. In the meantime, cook 1/2 a cup of red rice, with 1 cup of water. Peel, and cut the onion in half, then slice it into long strips. Roughly chop the almonds, and set them both aside. Next, peel, and cut the beetroot into thin slices, and then into long thin strips. When your diced pumpkins are ready, and you’ve cooked your rice, add all the ingredients into a serving bowl. ← Vegan Coconut Macaroons With Only 6 Ingredients!